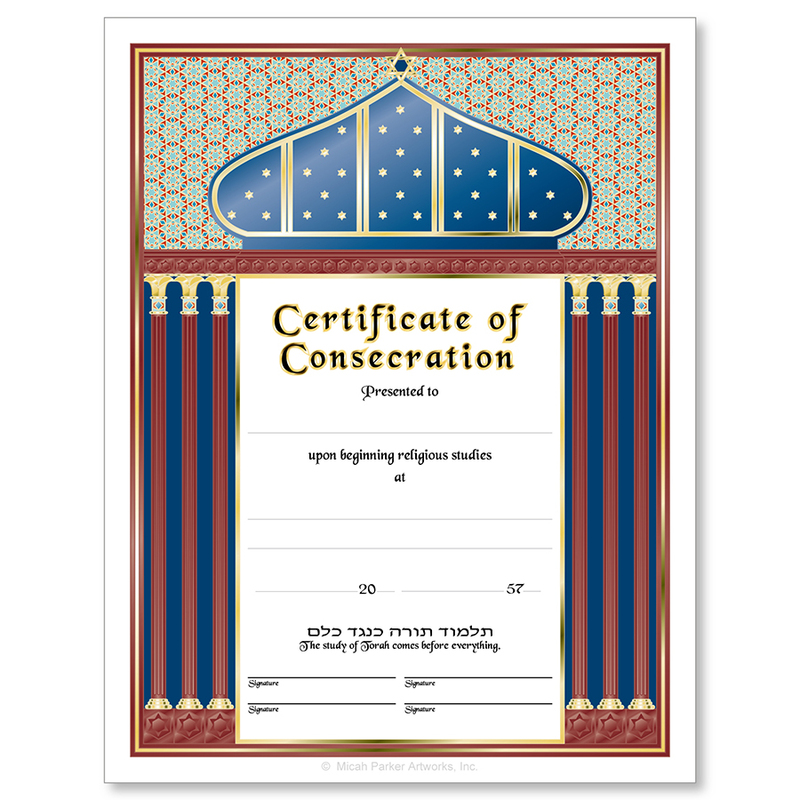 These certificates are intended for sale to religious organizations and clergy only and not to the general public. 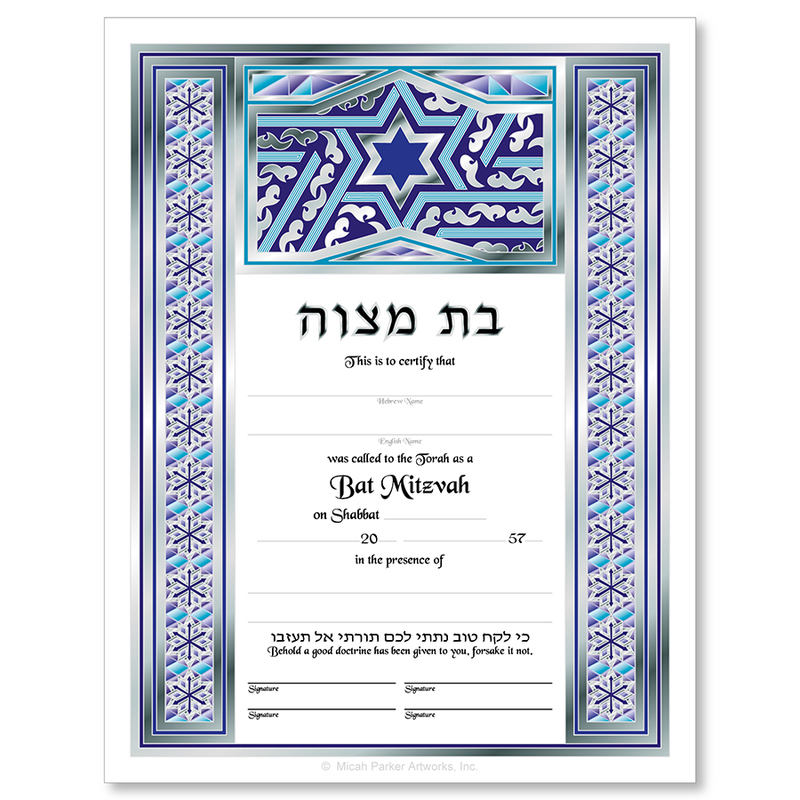 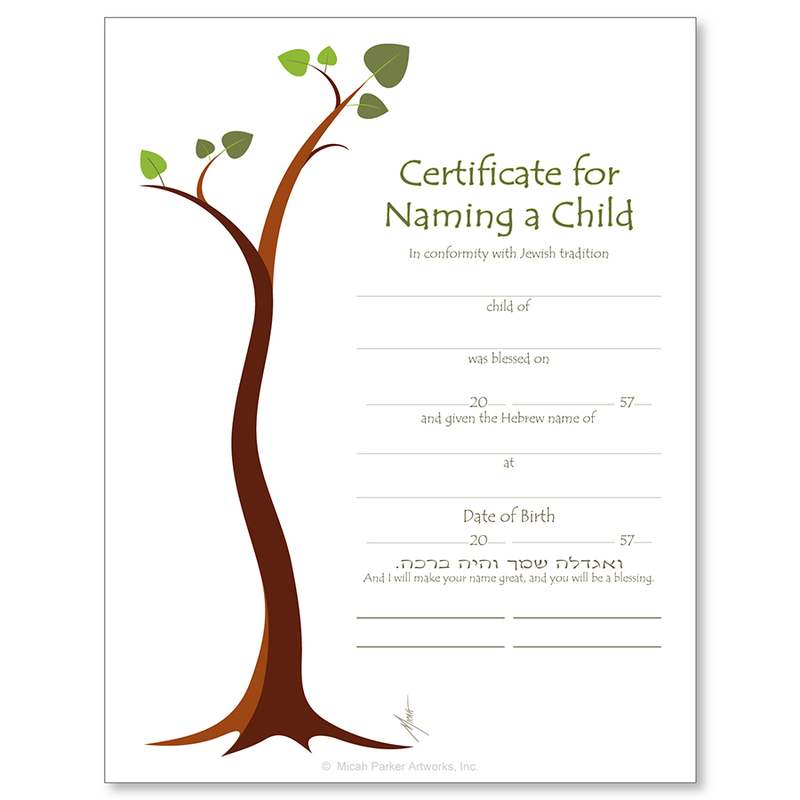 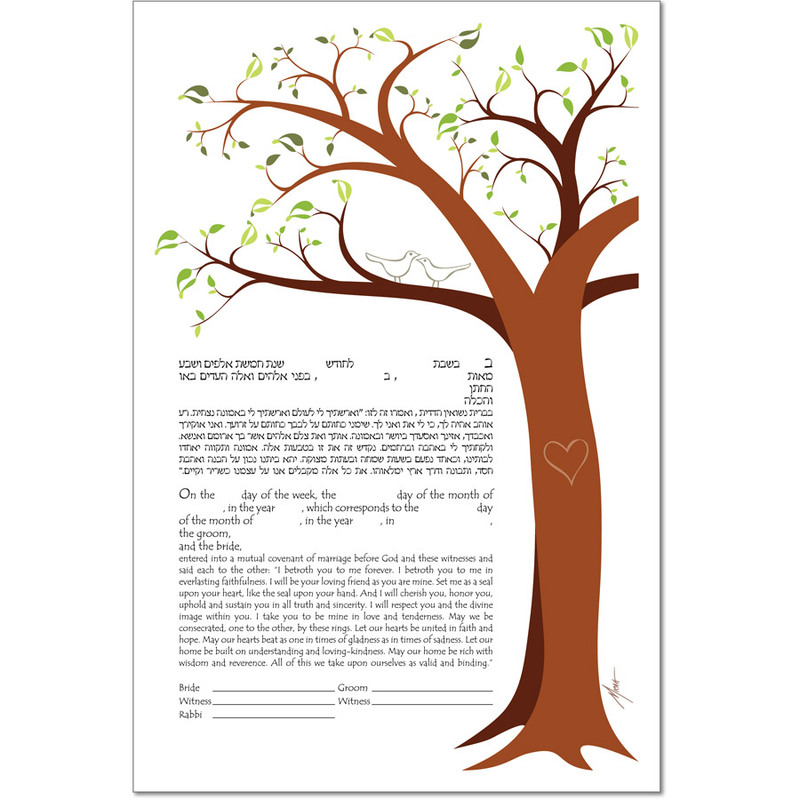 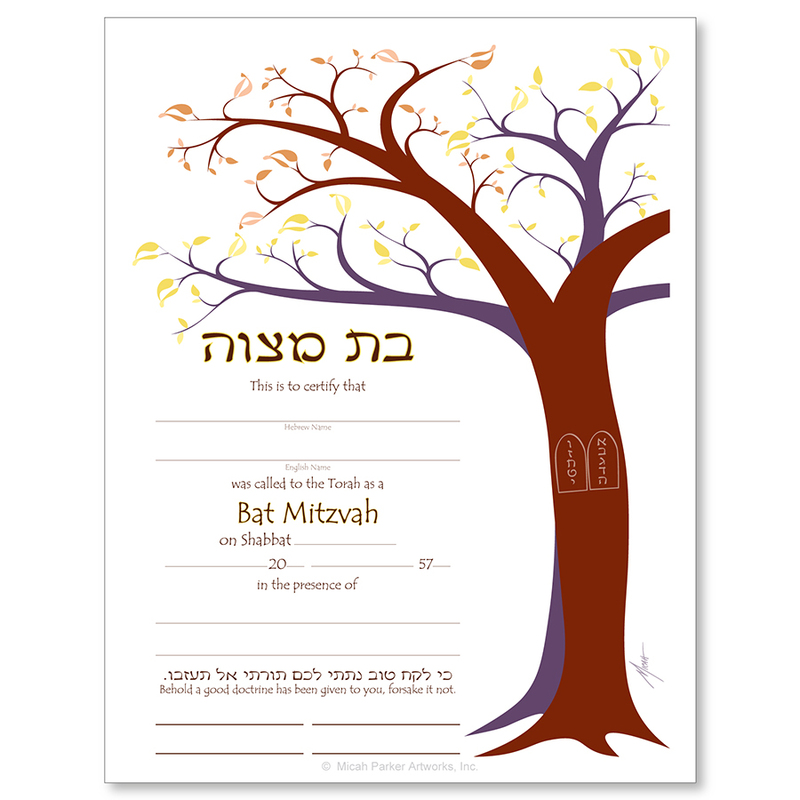 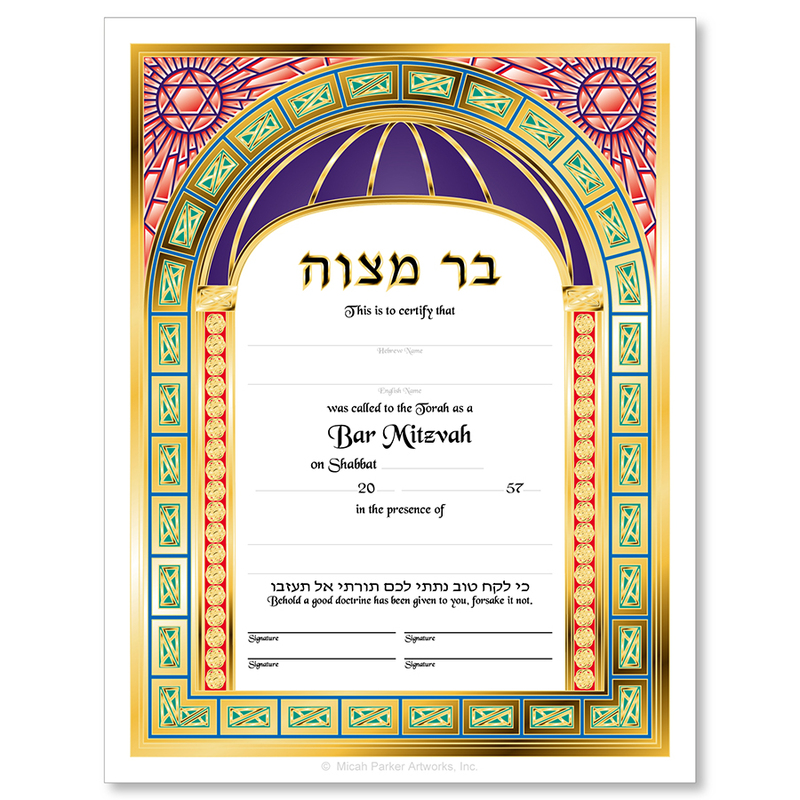 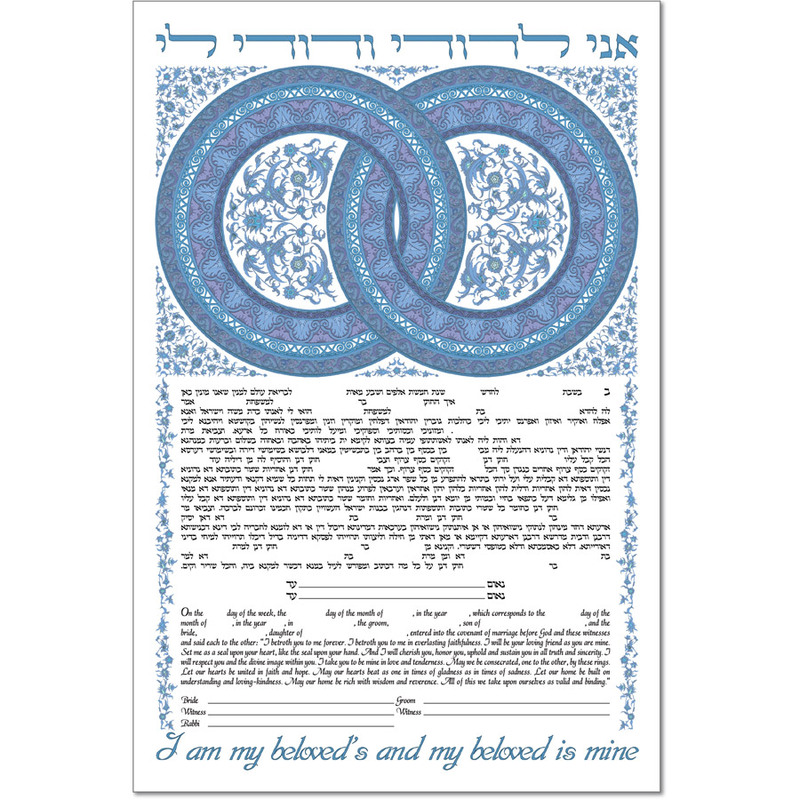 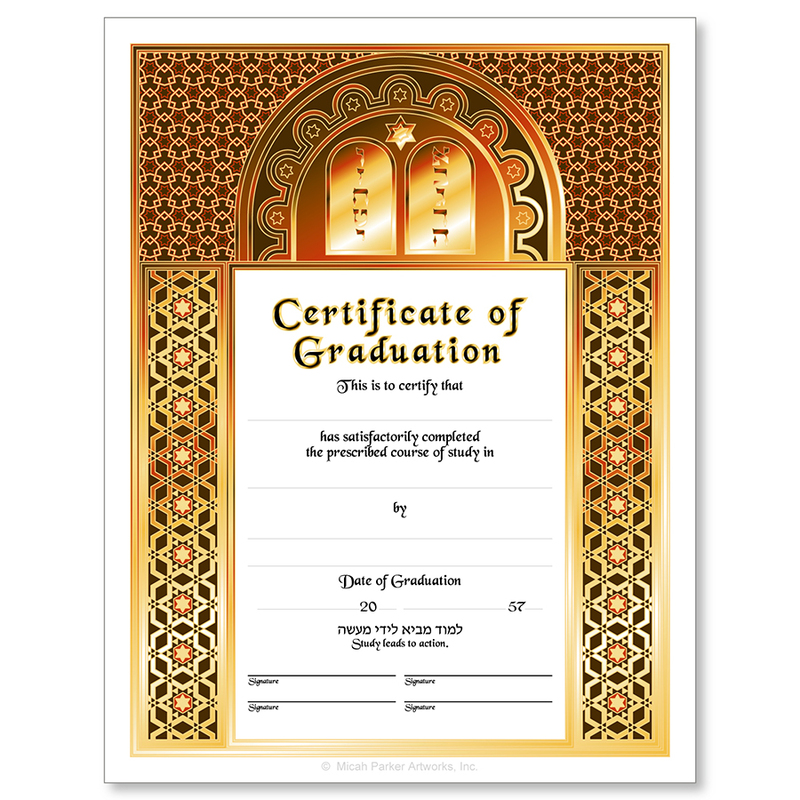 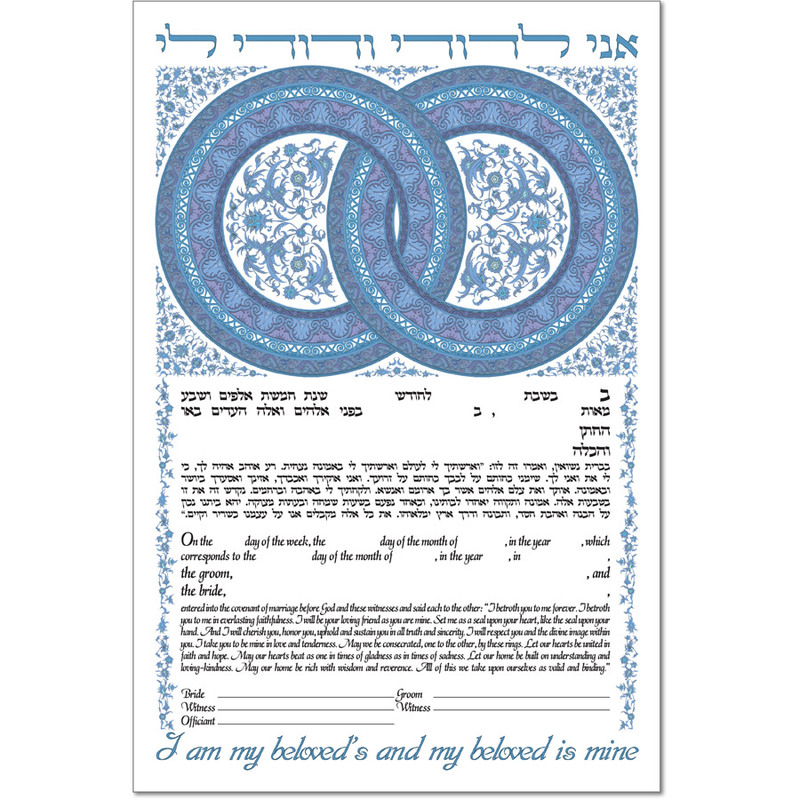 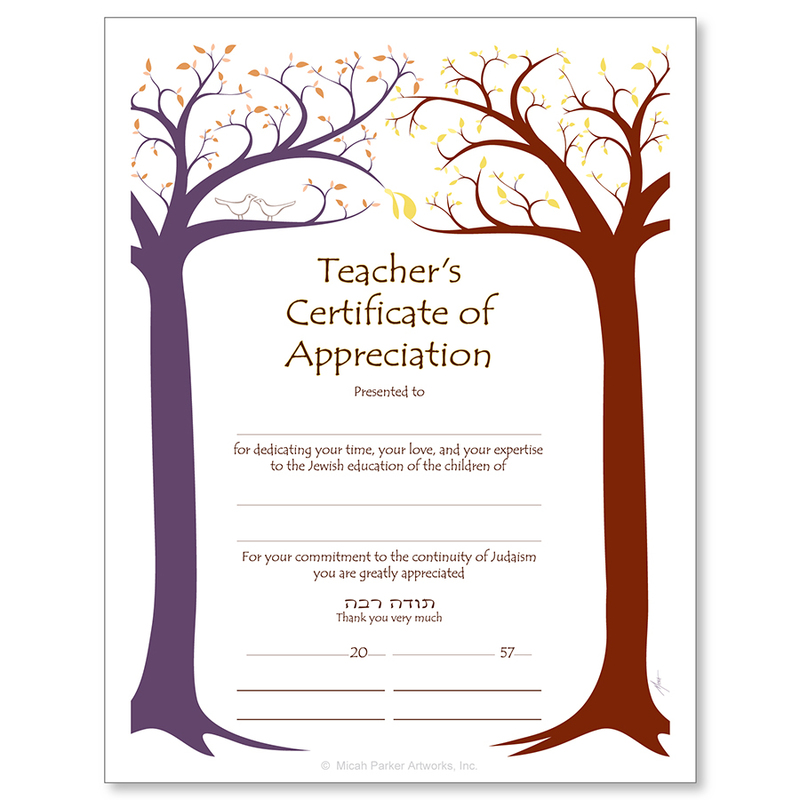 Minimum of 10 total certificates or 3 total ketubah certificates per order required. Digital 4-color process print on 100# matte cardstock. 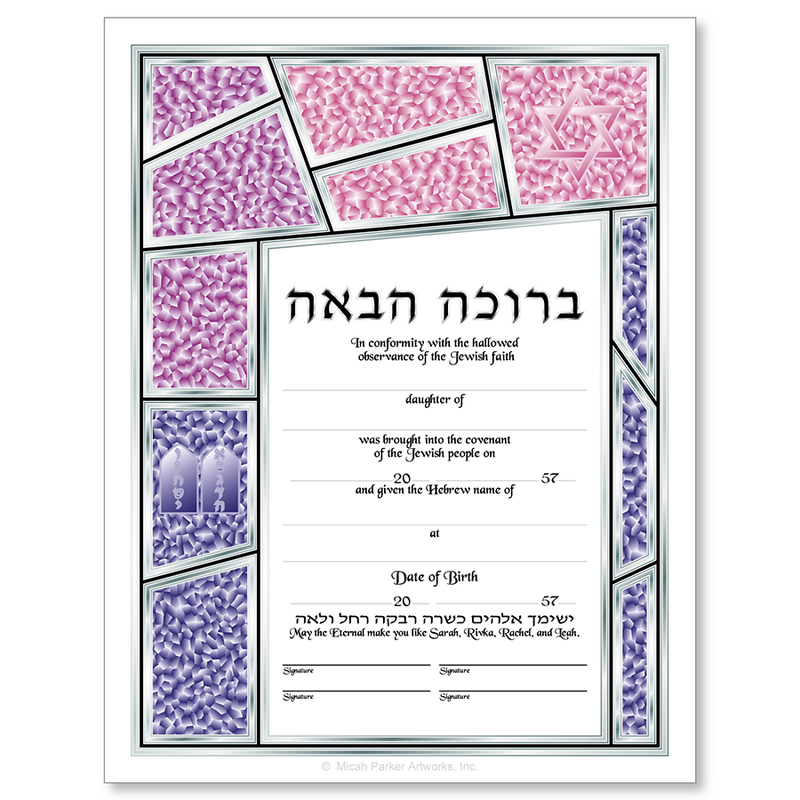 9" x 12" white envelope included with each certificate (except ketubah certificates). 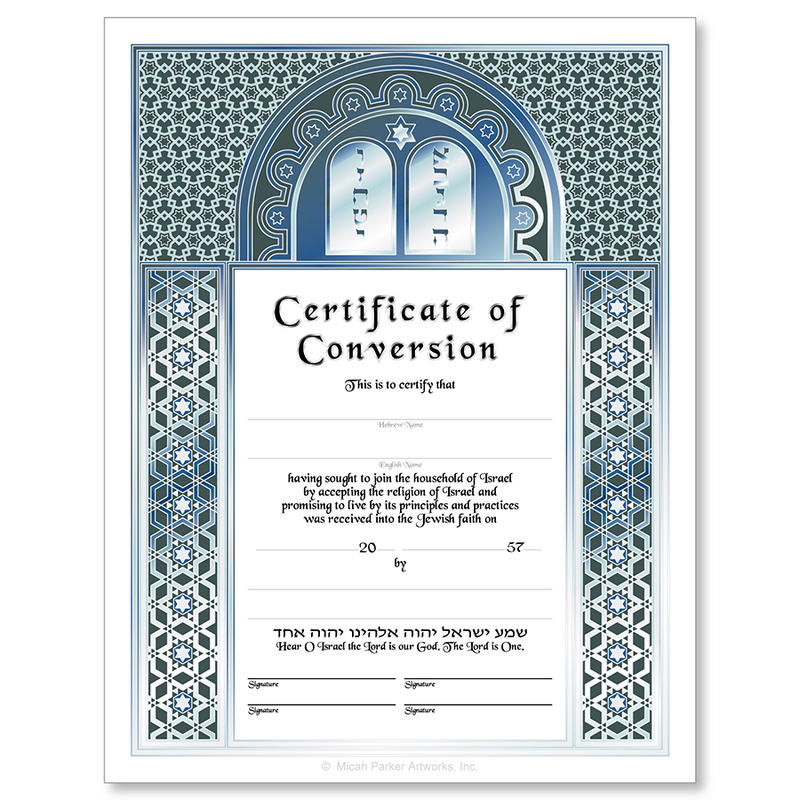 Available to rabbis and related clergy, synagogues, and religious schools only. 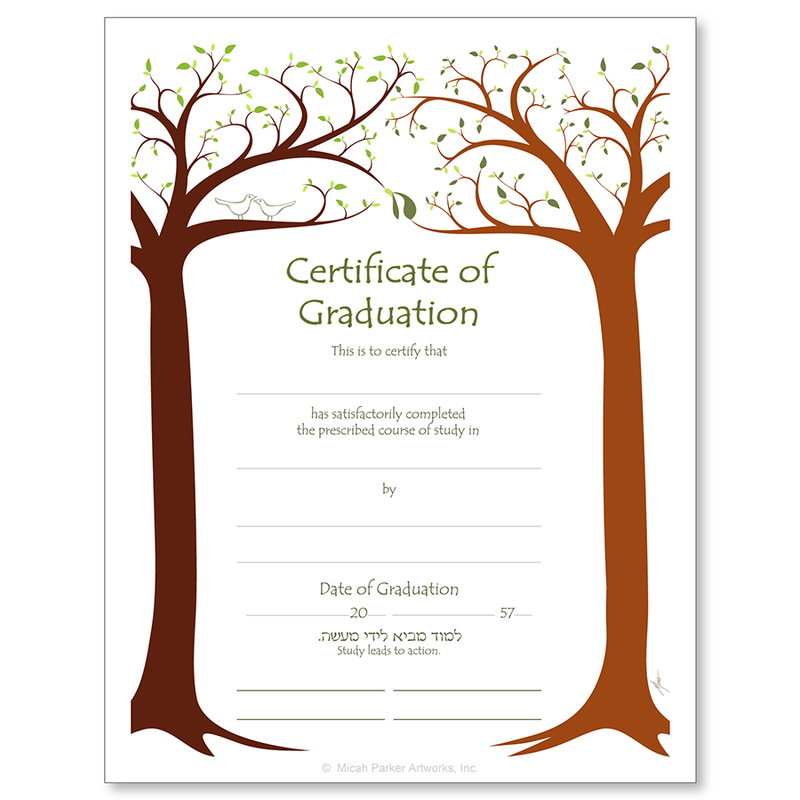 These certificates are not intended for resale or direct retail sale to the public. 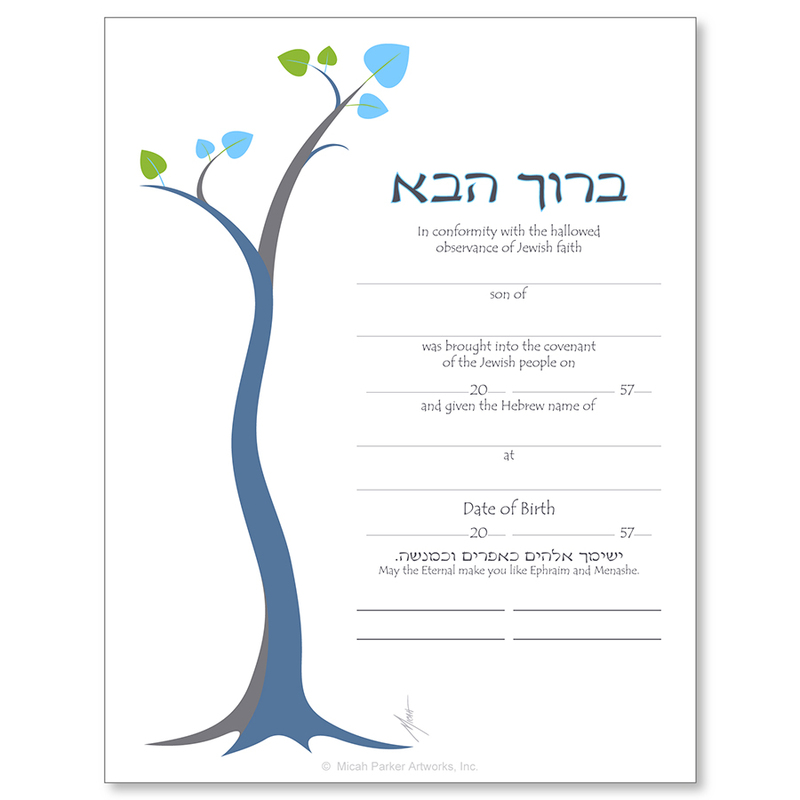 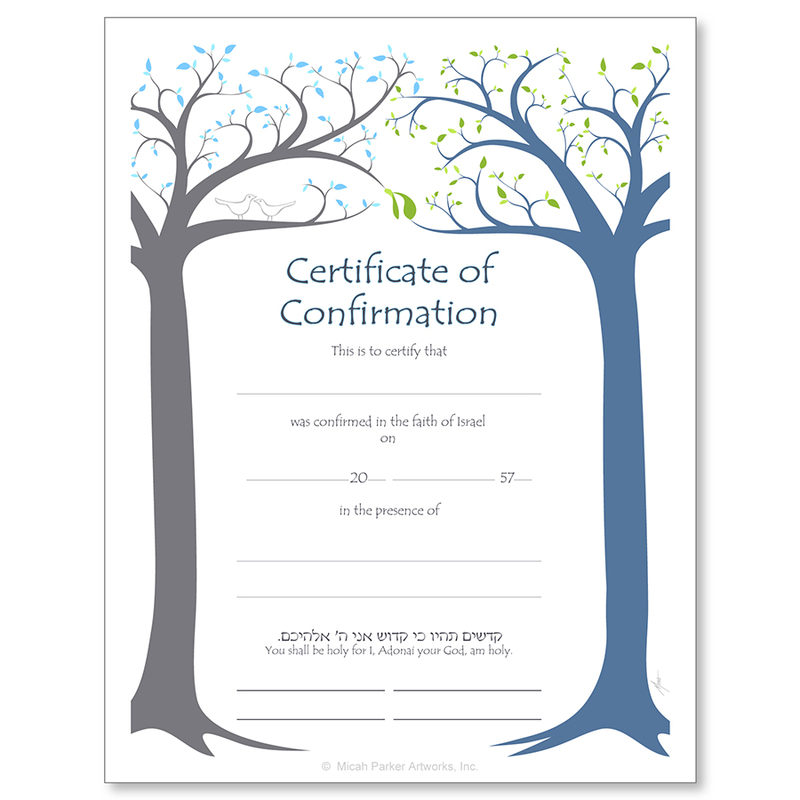 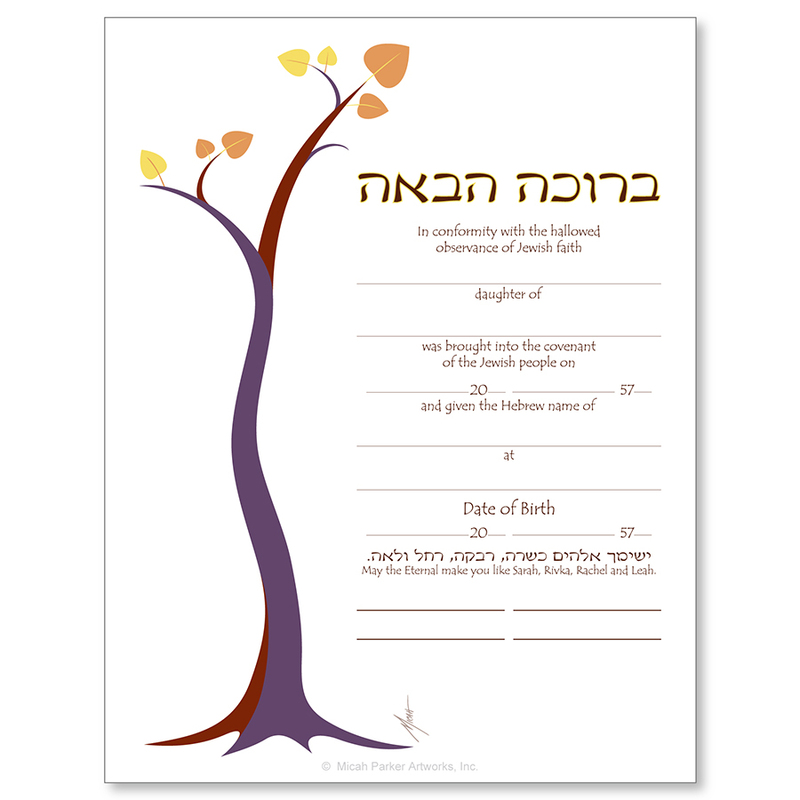 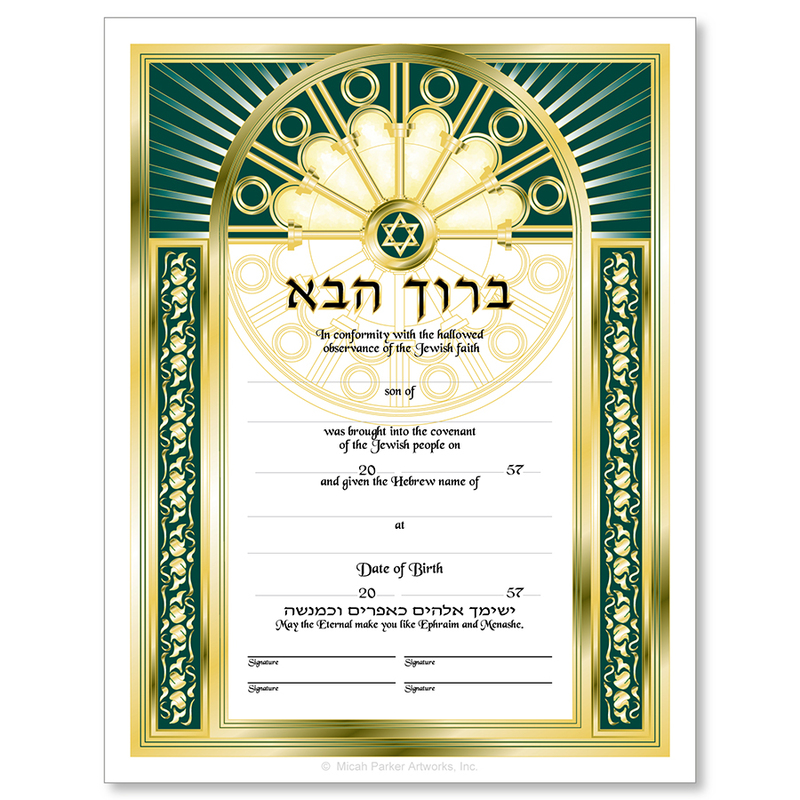 Note: There is a minimum of 10 certificates or 3 ketubah certificates per order. 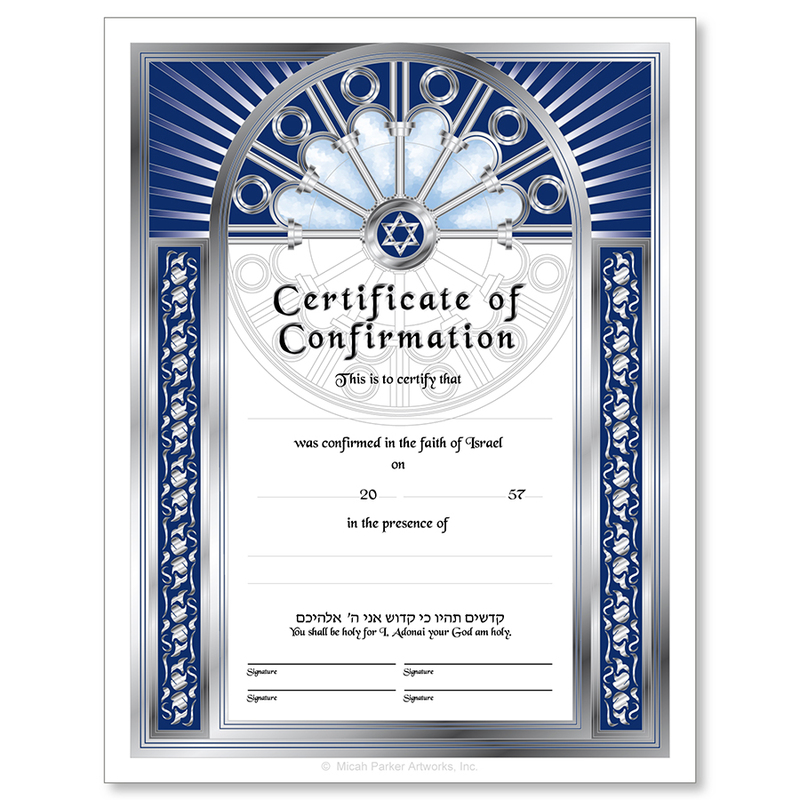 Certificates can be mixed and matched to meet the minimum order. 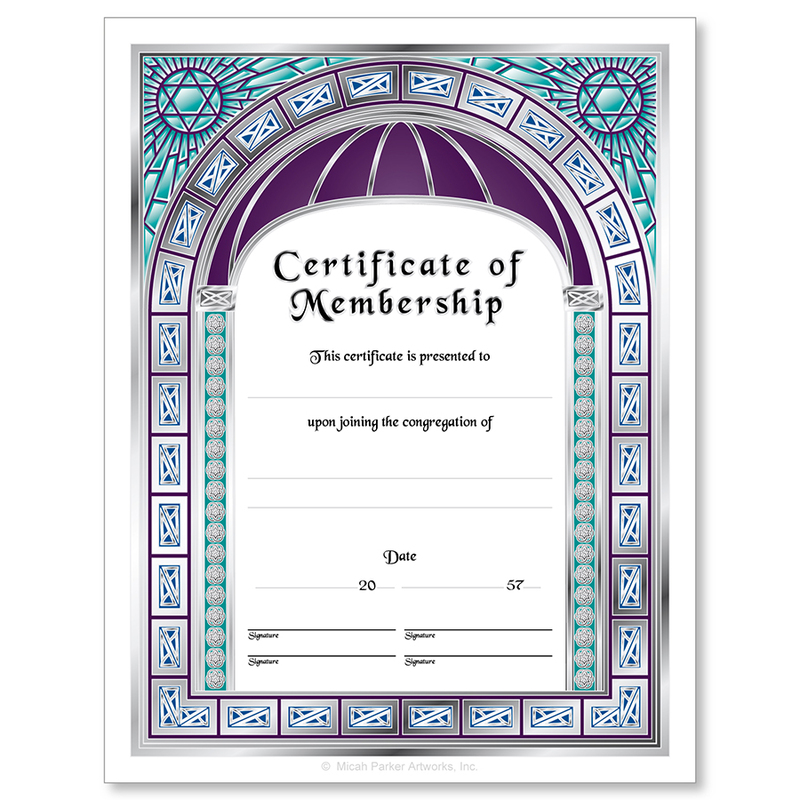 Discounts will be applied at the end of the order. 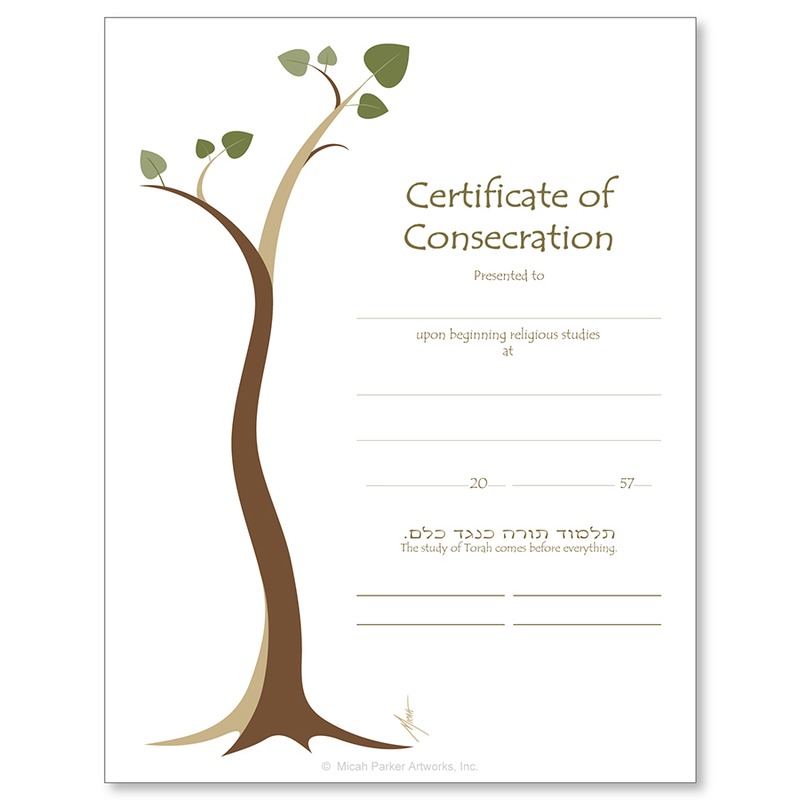 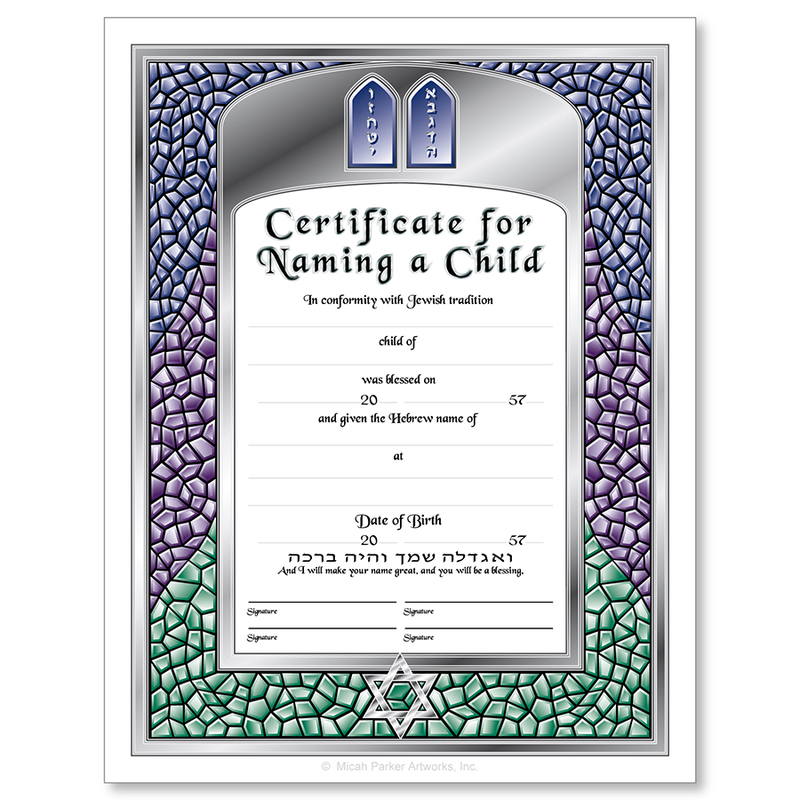 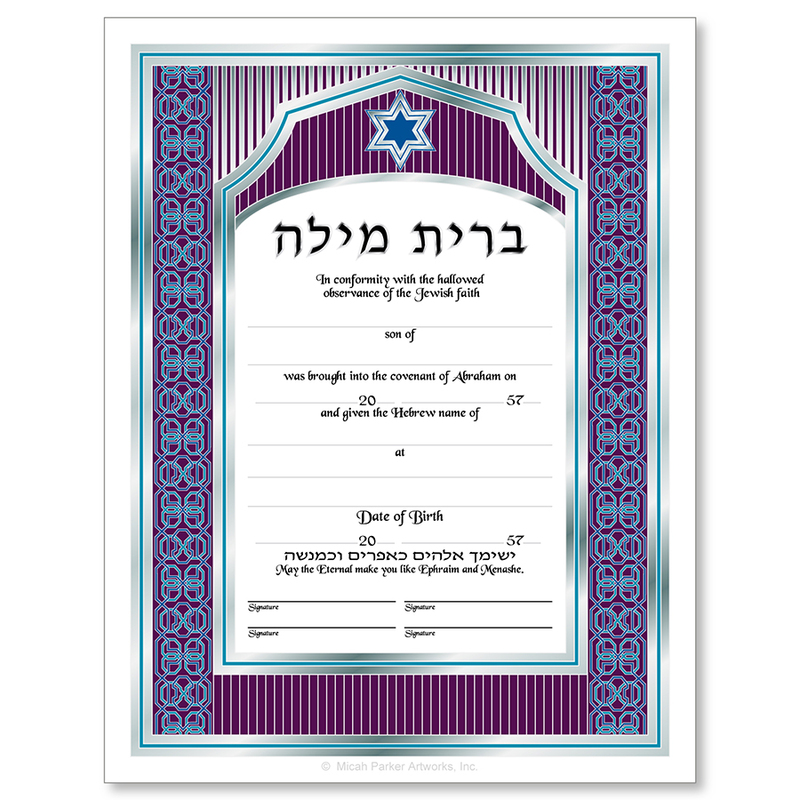 Certificates can be customized by adding the synagogue's name, city, and state, mix and matching the certificate texts with other certificate designs, or by having us design completely new certificates for you. 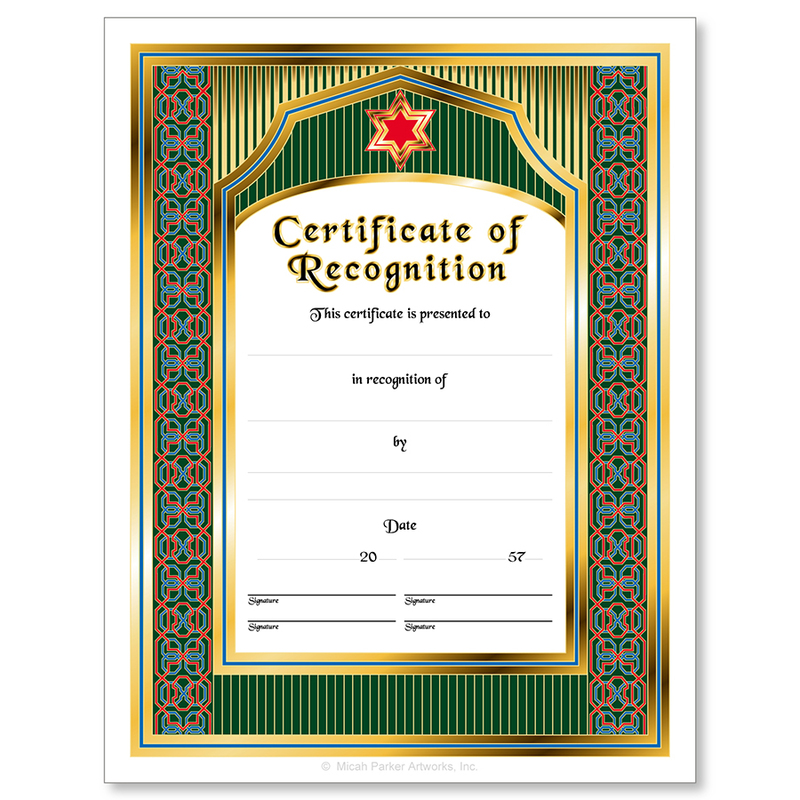 Minimum order is 100 certificates. 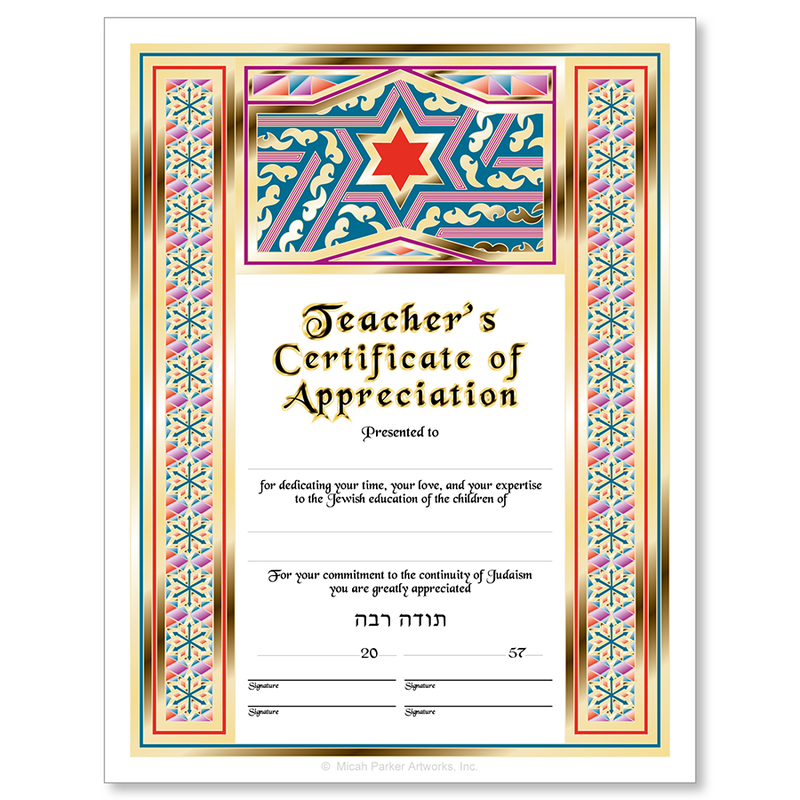 Please call us at 888-336-4224 for a quote.